What Remember The Milk Triggers and Actions are Supported? To get started with Remember The Milk, start making a new Zap and select Remember The Milk as the action app. You'll then be asked to add your Remember The Milk account to Zapier. 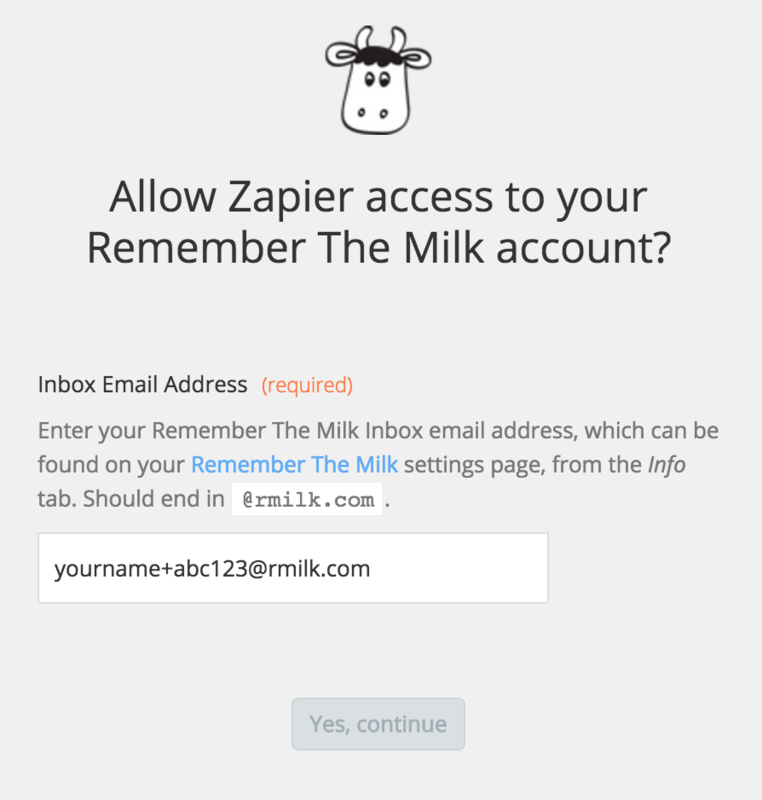 Now, paste that email into the email box in the Zapier authentication dialog for Remember The Milk, and click Yes, continue. 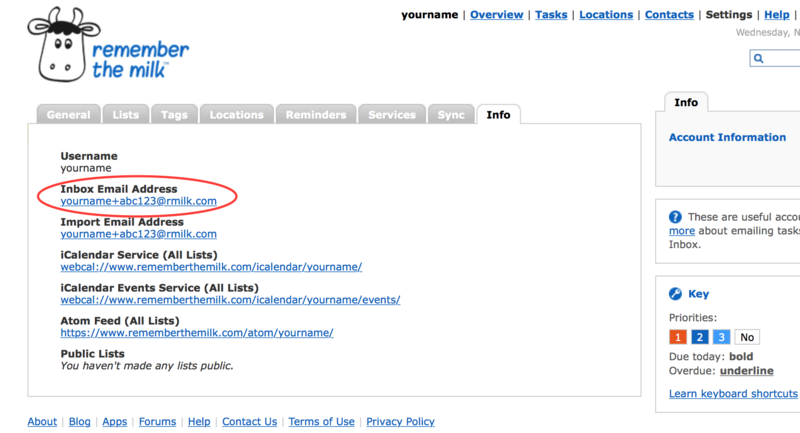 Zapier will then test your account, and if you added your email address correctly, you'll be ready to add new tasks.